Don't own a smartphone and looking for a way to access your email on the go? There are a few choices: an iPad comes to mind, or a laptop. Unfortunately, both are rather bulky to be lugging around, they're expensive and if you need access outside of free wi-fi zones, they require investing in a data plan through a telecommunication company as well as even more expensive 3G versions (or a 3G modem). If you only need occasional email access and you're not worried about downloading and reading attachments, there's a very reasonable alternative available from an unexpected source. A Kindle. And by Kindle, we don't mean the new Kindle Fire tablets but the old-school E Ink models, including the early ones with buttons. Here are some quick pointers. Make sure your Kindle is connected to a network (either 3G or Wi-Fi), then click your "Menu" button and select "Experimental." 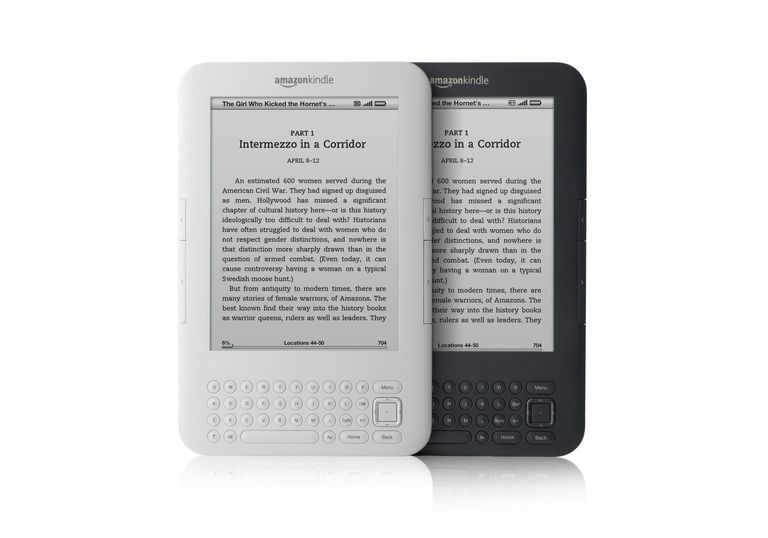 Although it occupies a gray area because it's not the intended use of buying or downloading Kindle books from Amazon.com, the web browser is provided by Amazon (albeit as an "experimental" feature) and you can use it to browse the web and access web email without incurring charges. The experience is slow and painful compared to the regular methods, but it is free, at least so long as you are within the US and you don't try to download attachments (which incur a Whispernet transfer fee and may not be readable on the device anyway). While you're at the login screen, click Menu and bookmark this page. That way, the next time you want to log in to your email on your Kindle, you don't have to go through the step of keying in the site's URL. Your email address is going to include the "@" symbol, which you access via the Sym button on your Kindle's keyboard. Once you log in to your ​webmail, Kindle's experimental web browser does a good job of rendering the layout, at least with Gmail and Yahoo Mail. If you find the elements too small for easy navigation, click the ​Menu button and you'll be presented with Zoom In and Zoom Out options. Outside of the restriction on attachments, you can send email from your Kindle too. Remember that you must use that navigation button to move your cursor into each box (until the icon becomes a pointing finger), then type away. Moving around is the hard part. Once you're in a text entry box, entering data is no worse than typing with a BlackBerry. You may not want to be firing off a dozen in a row, but given the cost (which is nothing), it's a nice perk to have for occasional email access on the go. Can You Really Unsend a Gmail? How Do You Email a URL Through Your Email Program? Ever Wonder What Makes Emails So Large? Google hid a great task manager inside your inbox!